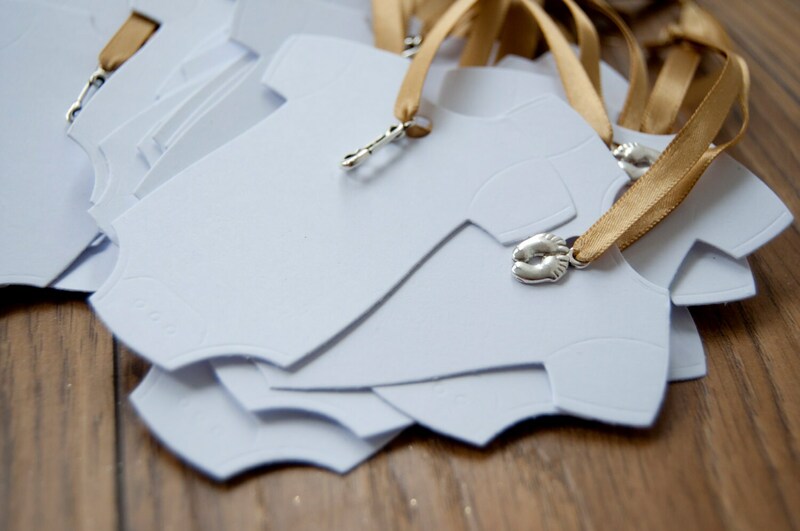 These stunning handmade baby-grow tags are perfect for any baby shower, so unique with cutie little detailing of baby feet and diaper safety pin, these tags can be used for wishing tree or as thank you tags. 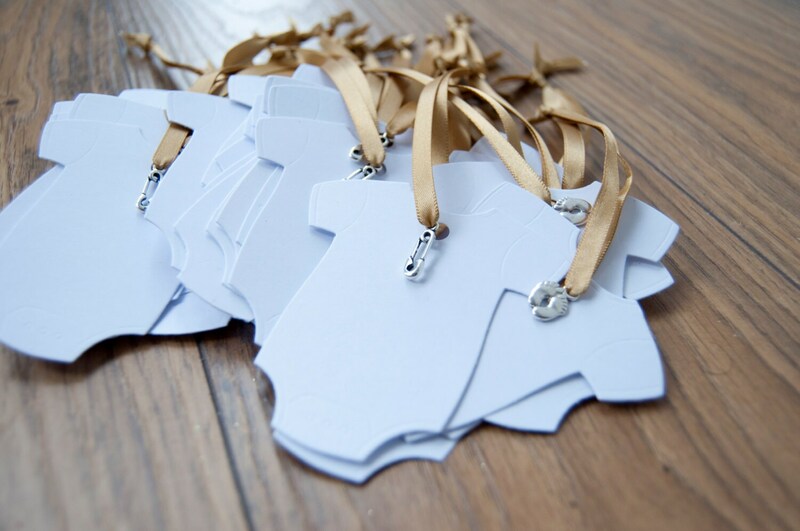 Each handmade baby-grow tag is die cut on high quality white paper. 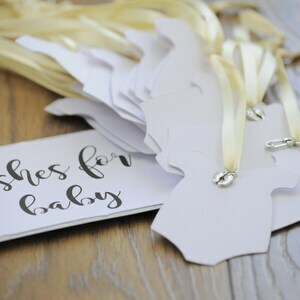 it is finished off with ribbon. 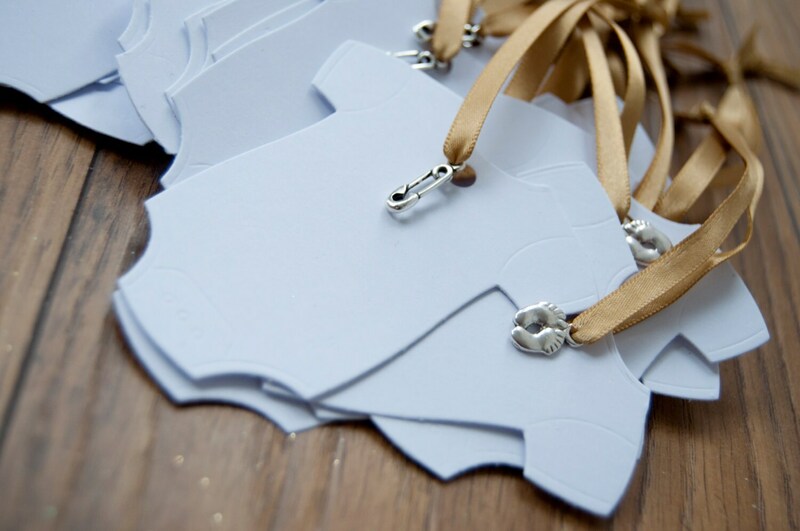 To make these tags extra special they are finished off with baby feet and safety pin charm. 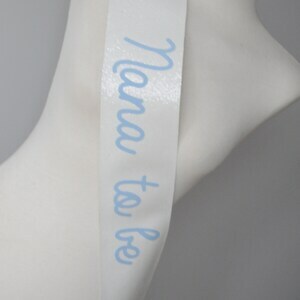 Ribbon available in 6 different colours. 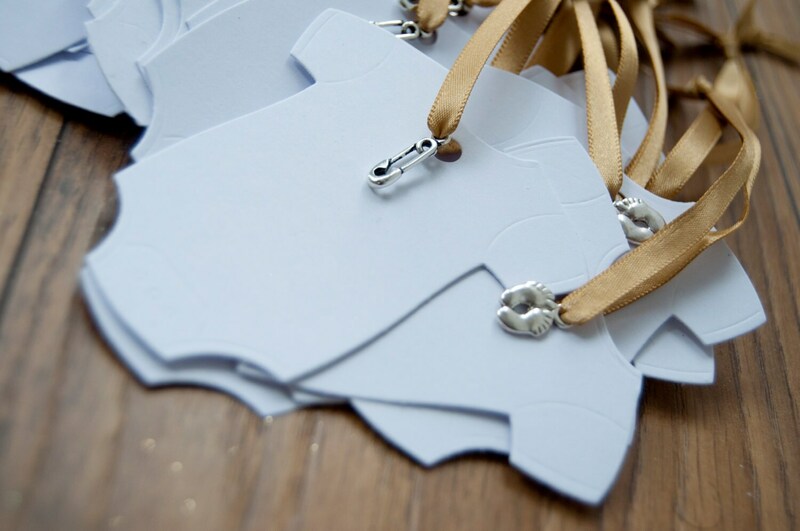 Good quality with sweet baby feet or nappy pin charms. Perfect! Looks like the photos, one or two has a little stain on which was disappointing but other than that would order again.